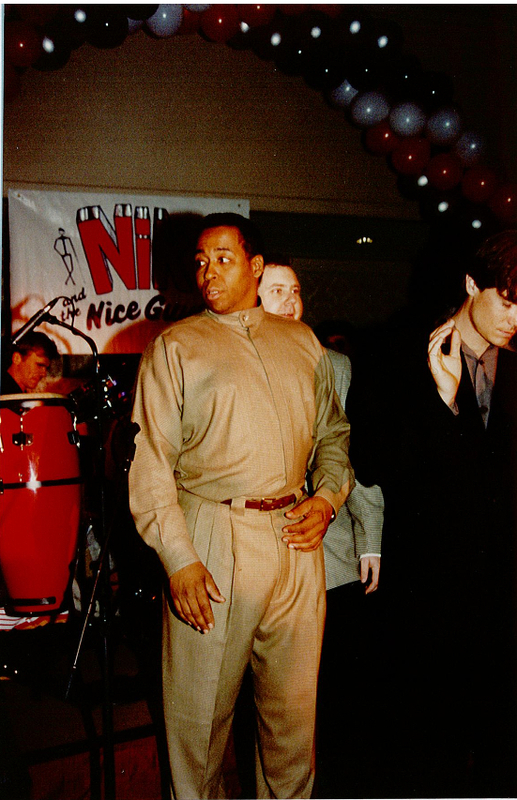 John Saunders - Nik Wall of Fame - Photos - Nik Entertainment Co.
A young, dapper John Saunders on stage at a Nik show in LA. Notice Richard Dean Anderson (MacGyver!) back by the bongos.